 San Joaquin General Hospital is seeking an experienced nurse to fill this key position as the Clinical Educator for the Perioperative Services Department. Perioperative Services encompasses the following units: Operating Room (OR), Post-Anesthesia Care Unit (PACU), GI, Anesthesia, and Sterile Processing. Ideal candidates should demonstrate strong preceptor skills, problem-solving skills, an ability to work in a fast-paced environment, and an ability to mentor current and new nursing staff as well as scrub and circulating experience. Experience: Two (2) years of progressively responsible experience as a registered nurse in an acute care hospital OR, including one (1) year at a level equivalent to a San Joaquin County Staff Nurse IV. Certification: Possession of National Certification (CNOR). Licenses and Certificates: Current license as a RN in the State of California. Successful completion of Hemodynamic Monitoring class or equivalent, ACLS Certification, Preceptor Course or equivalent. COPIES OF LICENSE AND CERTIFICATE MUST BE SUBMITTED WITH THE COMPLETED EMPLOYMENT APPLICATION.